NICE LOT IN THE BELLEAU LAKE ASSOCIATION. WOODED WITH A CLEARED AREA FOR YOUR HOME. HAS RIGHTS TO ALL BELLEAU LAKE BEACHES, WALKING TRAILS AND BOAT LAUNCH TO THE LAKE. NOT FAR FROM RTE 16, CLOSE TO PROVINCE LAKE GOLF COURSE. NICE PRICE IN LOW TAXED WAKEFIELD!! 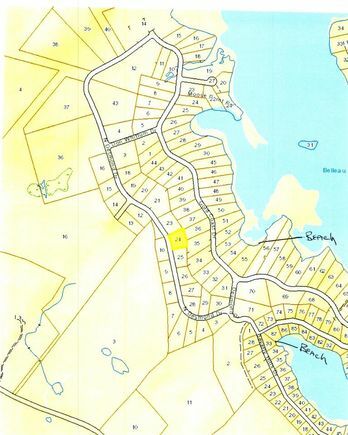 The details on 000 NORTH DESMOND: This land located in Wakefield, NH 03830 is currently for sale for $29,900. 000 NORTH DESMOND is a – square foot land with – beds and – baths that has been on Estately for 376 days. This land is in the attendance area of Paul Elementary School and Spaulding High School.